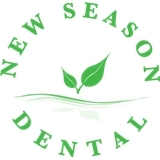 New Season Dental (Westminster) - Book Appointment Online! At New Season Dental, we are committed to providing optimal dental care in a warm, friendly, caring and non-judgmental environment. We believe in building a trusting relationship with our patients, providing personal attention to individual needs and requests without the pressure of pursuing any type of treatment. We are dedicated to help our patients understand each diagnosis in the most comprehensive manner and to go over treatment options that will be most beneficial to each and every one of our patients. Our mission at New Season Dental is to create beautiful smiles for the entire family, providing exceptional care and quality. This is because we believe a healthy smile is an important part of everyday life. We also offer convenient hours and location. Please feel free to contact us for a free consultation or even a second opinion! I had a great experience visiting Dr. Jung and his team.